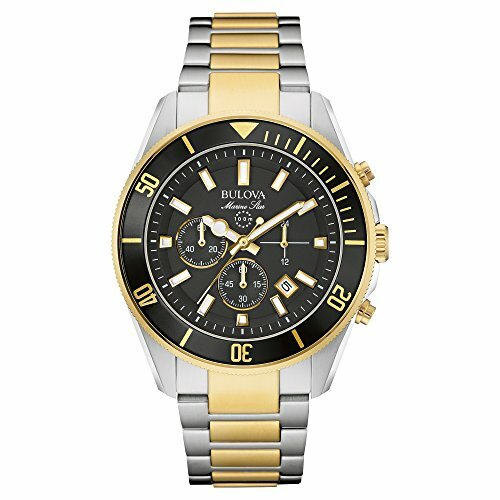 Bulova are not as well known as Seiko, Citizen or even Casio, but they have actually been producing high quality watches for over a century. They have a long history of very interesting innovations in the watch industry and were even competing against Omega to be the first to put a watch in space back in the 1960s. And when the Omega Speedmaster watch failed during a mission, the Bulova came to the rescue! They are now owned by a bigger watch brand, Citizen, and continue to produce stunning but affordable watches today. Just like the Marine Star – the watch that is the focus of my review today. 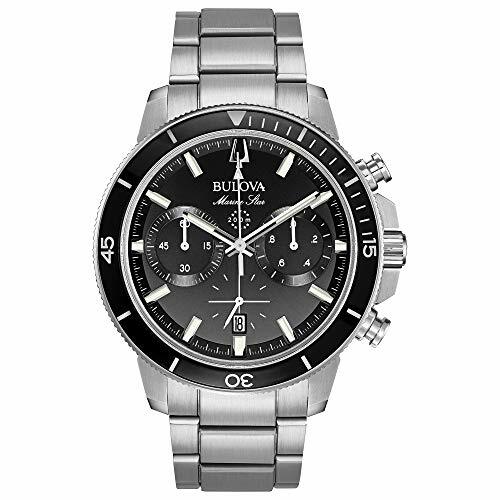 Bulova’s current range of Marine Stars feature a dive watch bezel with a 3 sub-dial chronograph that is very reminiscent of the Rolex Daytona, at least from the face. With its deep blue dial and contrasting white markers and writing, the Marine Star dial is modern through and through. 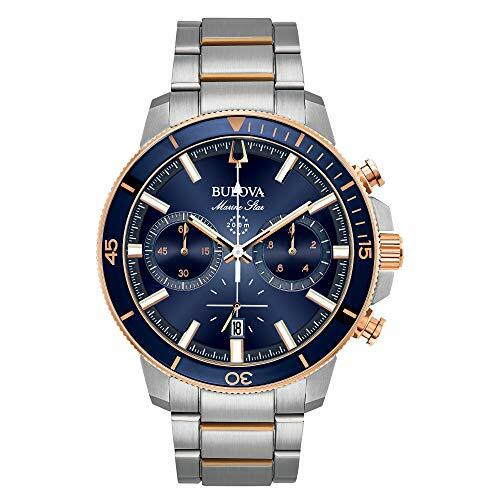 I love the small flashes of red Bulova have placed on this dial to create small color accents on the face. The tip of the second hand and sub dials, and the date numerals as well. The hour and minute hands are classic sword shape, but not overly sharp for a modern looking dive style watch. They are large enough and lumed enough to be useful if you took this watch underwater, although the 100m water resistance would stop you diving with it. This is not nearly enough for diving. There is, however a full dive bezel on the outside, although this particular Marine Star model has it on the inside, making it quite unusual. Most dive bezels are clicking and rotate from the outside with your fingers. This one has to be set with the second crown at 10 o’clock. 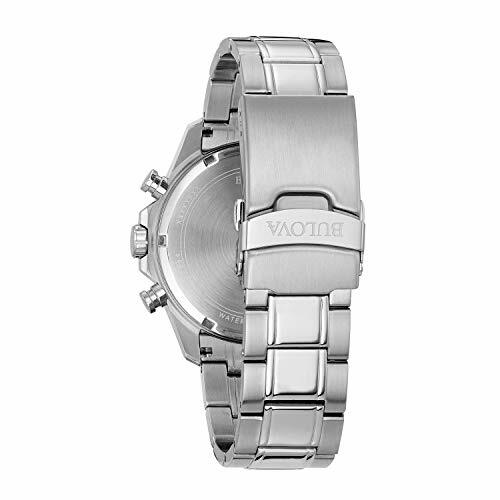 The angle of the inner bezel numbering and the recessed sub-dials are also a great look for this watch. 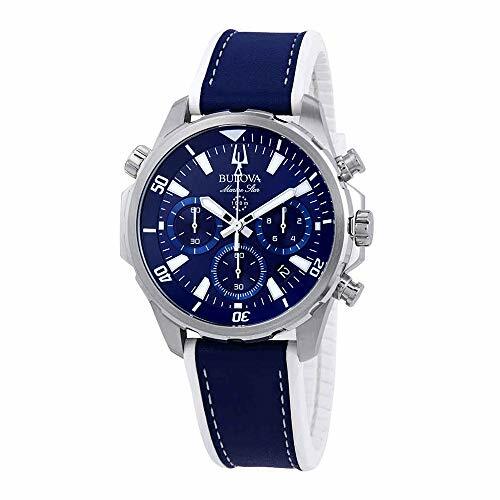 Overall, I find it sings of an over $500 watch with the price being often far less. (You can see the current price via the button below). 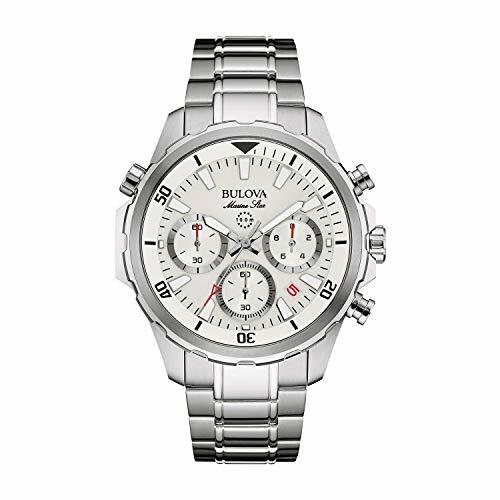 Fully stainless steel is of course what you would expect from a watch of this style, and Bulova don’t disappoint. You can get some variations of this watch with a leather strap, but personally I don’t think it works that well. Diver watches are either stainless steel or rubber strapped in my opinion. You might disagree. The Rolex Daytona style protected crown and chrono pushers on the side of the case give this watch one of its characteristic looks. One you certainly can’t ignore, and for me is a small step above your standard SKX Seiko style dive watch. The strap is a standard 3-link stainless steel type, but I like that they have put on both the folder-over clasp and the safety to help stop the strap catching and inadvertently opening. Not surprising of a watch at this price (a few hundred or more) you get a reliable and long-lasting Japanese quartz movement, but not an automatic. The upside is that the case is quite a bit thinner at 12mm, but the downside is that you don’t get to boast to your friends of the inner workings of the watch. In the end though, an automatic is more painful to maintain, more likely to lose time each day (and require adjustment). And. it needs to be constantly worn or kept on a winder to keep running. So, although people like to own them, most don’t enjoy the downsides. Yes, there are many reasons why Quartz is so popular, and not only because it’s cheaper to produce! This is not entirely a dive watch as I mentioned above. It is only 100m water resistant which is far below the minimum 200m you would need to take it diving. But, there is far more to the ISO specs for dive watches than that anyway, and this watch does not comply to many or any of them anyway. So, just be content taking this watch in the shower or the pool, but don’t plan any Belize dive holidays with this watch in mind. It won’t survive! 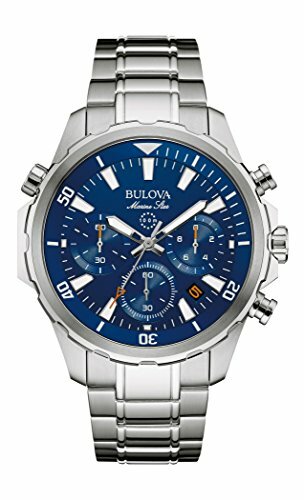 I have been talking about the Bulova 96B256 Marine Star in this particular review, however the full range is a lot more diverse th just this watch. Not only do you have options in terms of color, the exact style varies too. Sometimes you can have a normal dive bezel on the outside of the case. Other watches have the sub-dials in different configurations. There is also a variation with a completely different bezel that is a lot thicker and more prominent. A lot of people tend to go for this model as well, so you might want to check it out below. I have listed quite a few of them with an image below, just CLICK on the one you like to check it out in full as well as the current price. Who Is The Marine Star For? 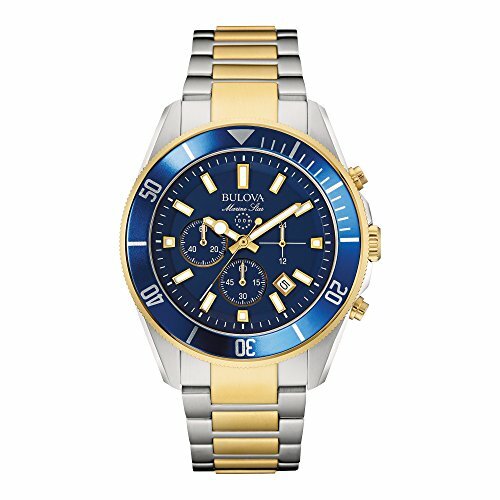 If you are looking for a very affordable, yet still high-quality dive style watch with a chronograph, the Bulova Marine Star ticks all the boxes. Sure, they have cut a few small corners to lower the price, using a Quartz movement and a mineral crystal, but for most of us this is not a deal breaker. This is the kind of watch you can wear as a daily beater and get it scratched as hell, or you can also wear it out to work or a dinner and no one will know you did not pay $1000 for it!